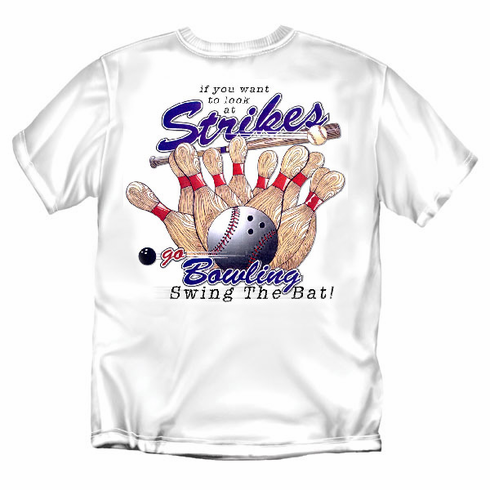 These white t-shirts have the "If you want to look at Strikes - Go Bowling - Swing the Bat!" image screened on the back and the Ropes logo on the left chest. This t-shirt design is an original from Ropes, one of the best baseball apparel companies in the world.